I had started a project to build some terrain pieces that were of moderate to large size for some Sci-Fi wargaming. Unfortunately, I've started too many projects and I keep bouncing back and forth. However, I thought I'd post a couple of photos of what I have been doing. The first pic is one from that orginial Sci-Fi project and the second is actually for my son and his friends who found Dad's Heroquest game one Saturday about a month ago . . . I can say, though, I've been more motivated since the boys begged me to build them something for their games! The layout for the cave is actually my son's design--not bad for his first layout! Very nice! That caveboard looks great. 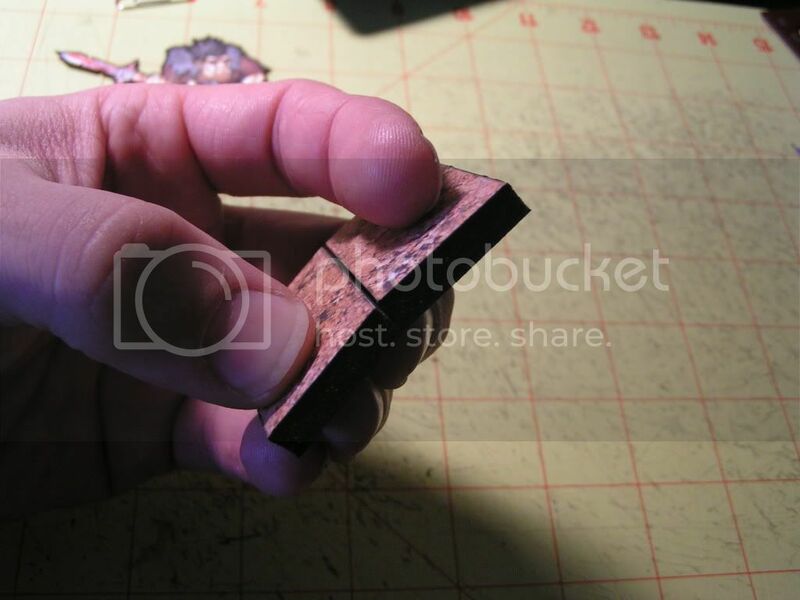 There are some great pics on your Photobucket page. Thanks for sharing. Very nice. 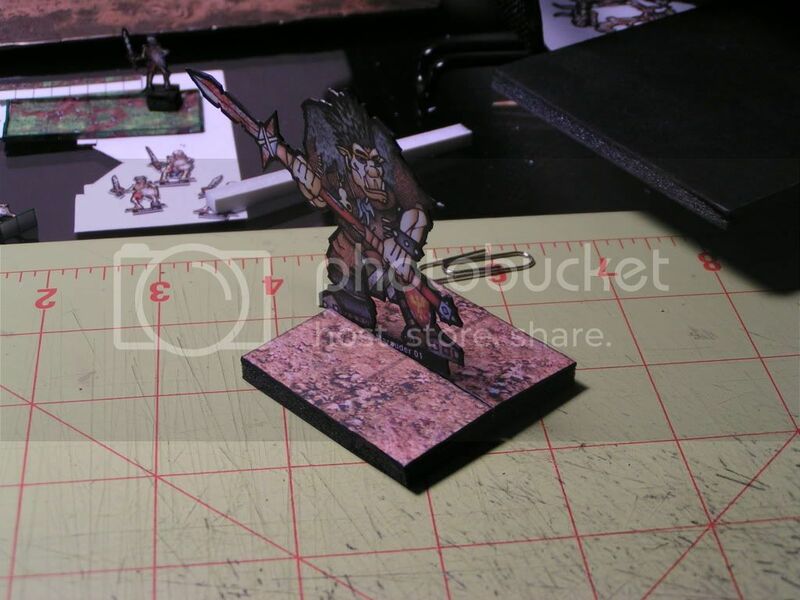 I like the basing for the paper mini's! The nice thing about basing my minis this way is that I can change the bases (they are not glued) to match the setting. 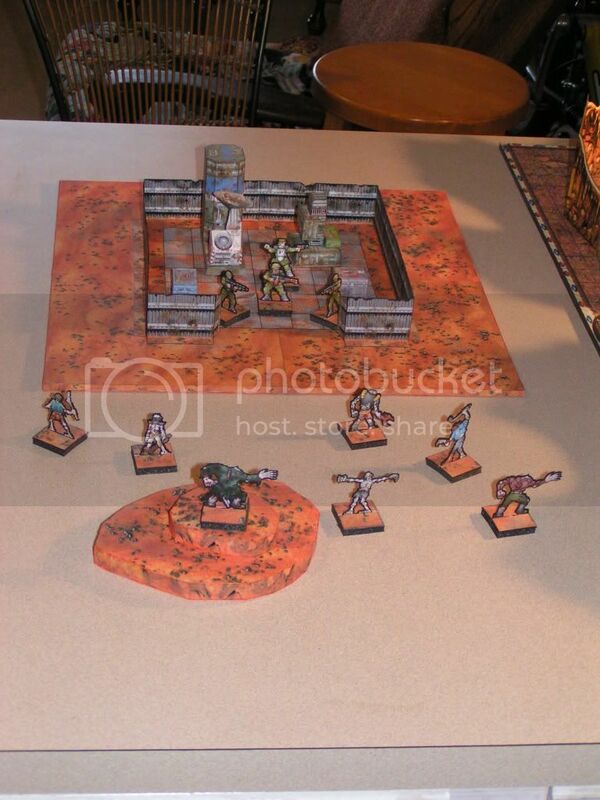 For example, if the minis in the first pic (from our Mutants and Death Rays Guns game) decide to duke it out in an ruined city (WWGs Mayhem series--and another of my too-many projects), I can switch out the bases and they'll match to the new tile set. I know its kinda geeky, but hey, half the game is about how awesome it looks--that is why we're all WWG fans, right? ...why did I not think of that? I have been trying to figure out a modular basing system. Thats just great! I'm glad you like the idea. 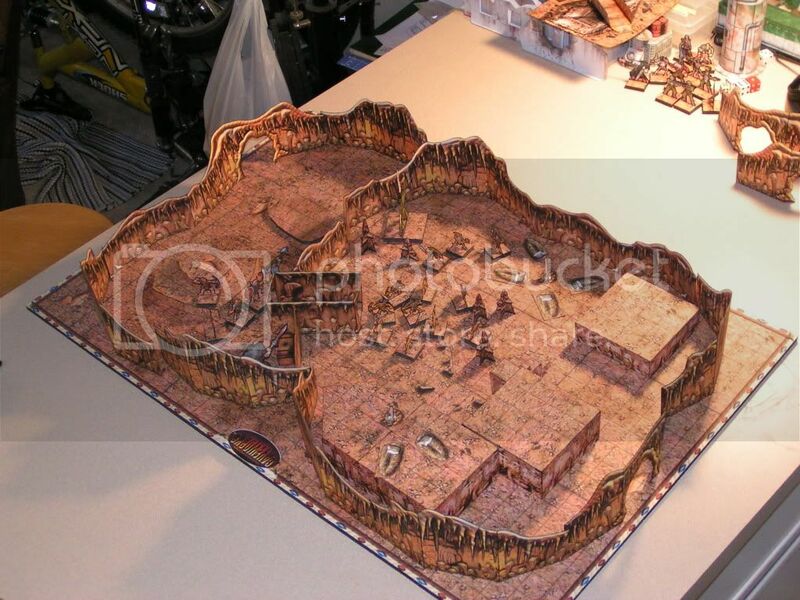 Just base one of the tiles used for your WWG terrain on some foamboard, cut to the size needed, slit down the middle of base (1/2 the thickness of the foamboard for starters, more if needed, tho not too much! ), and insert mini. Simple, fast, and a perfect match for the terrain. Great board, and the basing is freaking brilliant.